The makers of the Wholly Guacamole® brand, America’s No. 1 selling branded pre-made refrigerated guacamole, is celebrating a first this week as the brand reaches the one millionth fan milestone on its Facebook fan page. To celebrate, the brand is offering a coupon download, giveaways and a digital trip back in time. The makers of the Wholly Guacamole® brand are celebrating their fans in honor of this joyous occasion with a guacamole-filled celebration on Facebook. 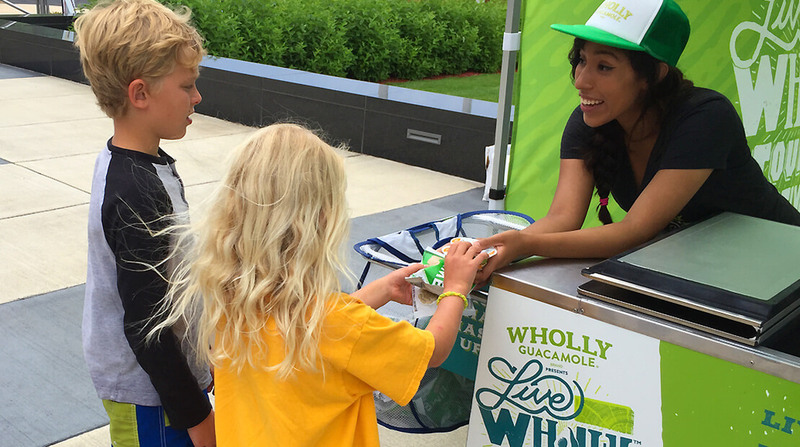 In recognition of the journey on which fans have joined the brand since its introduction to Facebook in 2009, the creators of Wholly Guacamole® brand are sharing favorite moments with fans from their timeline. In celebration of the milestone, the makers of Wholly Guacamole® brand will recognize some of the brand’s earliest and most engaged Facebook fans on the social media channel and revisit a few fan favorite Wholly Guacamole® recipes. Some fans may even receive personal recognition on the Facebook page. Here’s What Happens When You Ask A Chef To Make You Breakfast – Only a true hero starts the day with Spam. When Chef Dale Talde made so much of his Kimchi and Spam Fried Rice that the food team could eat it for breakfast and lunch and dinner. The Wholly Guacamole® brand is a brand of Fresherized Foods, one of the largest manufacturers of pre-prepared guacamole for both retail and foodservice in the country. A global leader in food safety, quality and innovation, Fresherized Foods uses High Pressure Processing (HPP) of avocados— or Fresherized® technology—to create their line of Wholly™ products. For more information, visit www.eatwholly.com and Wholly Guacamole® brand on Twitter, Facebook and Instagram.